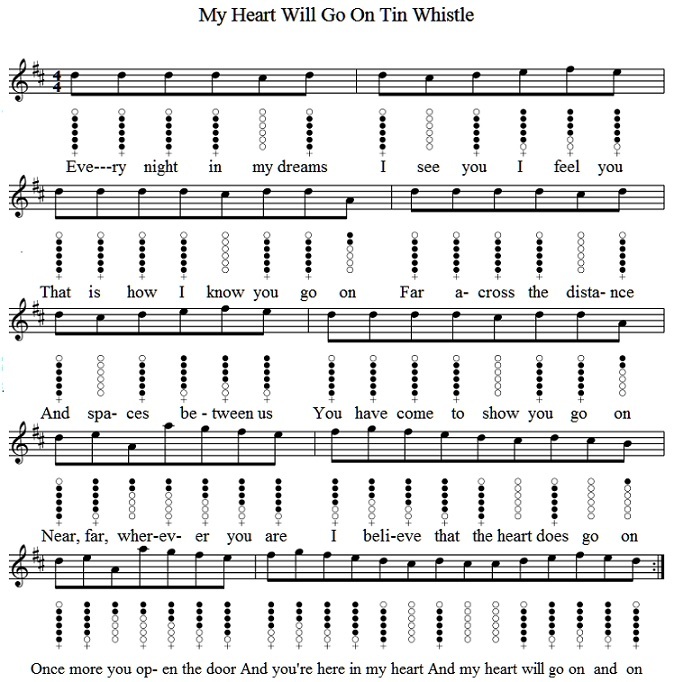 My Heart Will Go On Tin Whistle Letter Notes. This is the main melody of the song without the ornamentation. After you learn to play the lead you can then play around with the tune and learn the intro. and whatever ornamentation goes with it. This song has being requested several times, it's quiet easy to play and I'm sure you'll pick it up after a few tries. It's the thyme song for the Titanic which was built in Belfast. The singer was Celine Dion. 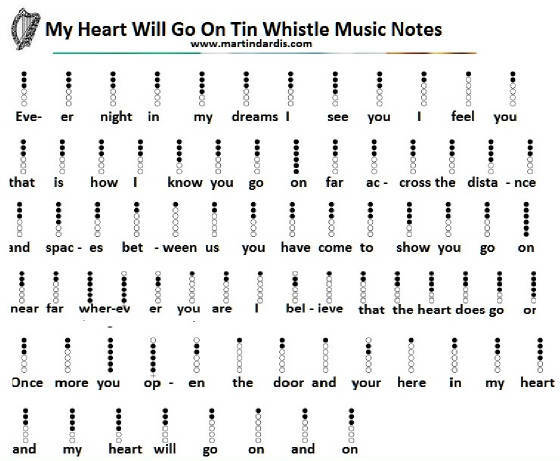 Although I'm play a D whistle the notes are the very same playing a C.
After you finish learning this one, there's about 50 more songs with video lessons on the site. 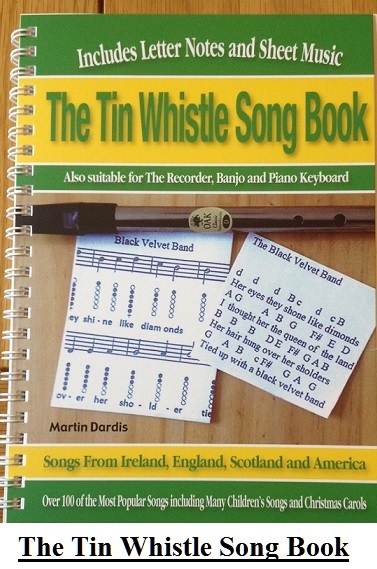 If you're only starting to learn then I'd suggest starting in the children's section and then move on to the section Learning Tin Whistle where there are many well known folk songs from around the world, that section also has the ''Letter Notes'' and some also have the full sheet music. The more you play the better you'll sound.Outside of Ireland this is one of the most popular tunes that people play on the whistle. Within Ireland a song that most people will try and learn at an early stage is Dirty Old Town which is one of the most famous ballads in the country. The small letter ''h'' beside the ''D'' means that you play the high D note. 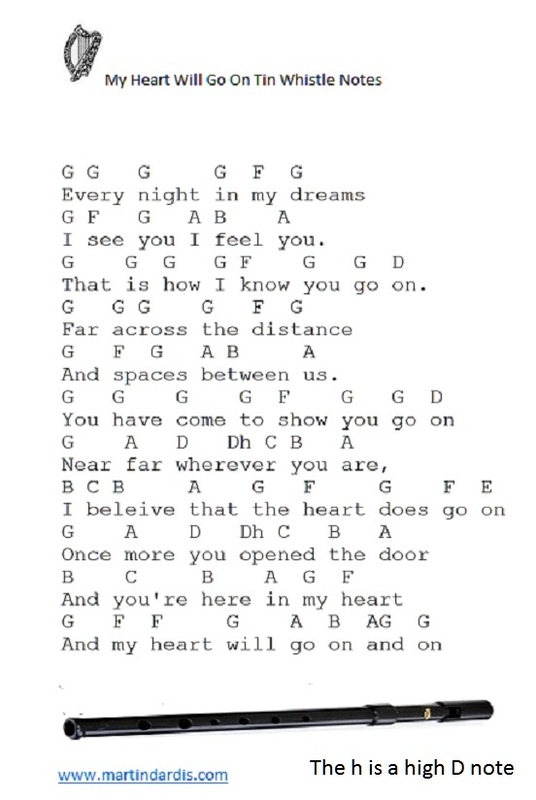 The above piece of sheet music is in the key of D Major and is an alternative to the first one. This version goes fairly high, up as far as the high A note.